A little boy gave his mother a humorous homecoming last week. 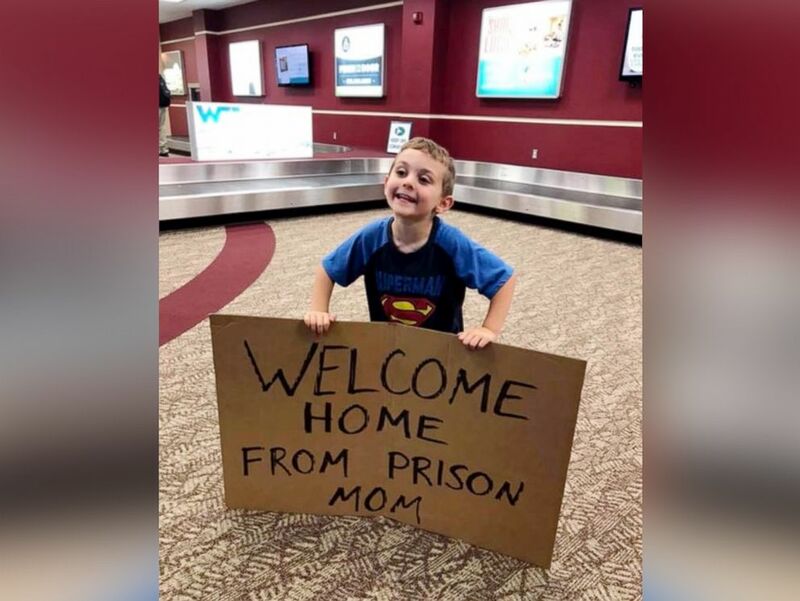 Daimen Nielsen, 4, greeted his mom, Barbara Nielsen, at Fort Smith regional airport in Arkansas with a sign that read, "Welcome Home From Prison Mom." Nielsen of Muldrow, Oklahoma, said that Daimen had no clue what the sign said and that it was all his dear old dad's idea. Barbara and Brandon Nielsen seen with their son, Daimen, 4, in a family photo dated December 2017. "I was ready to smack my husband," Nielsen said, laughing. "It was cute when [Daimen] was holding it with that big, beautiful grin of his. I just looked at my husband and rolled my eyes and was like, really? And of course, everyone around us was smiling and giggling." Nielsen said she had returned from a business trip in Michigan when Daimen and his dad, Brandon, met her at the airport. Nielsen's friend, Jessica Williams, posted the photo of Daimen on Facebook, where it was shared more than 123,000 times. 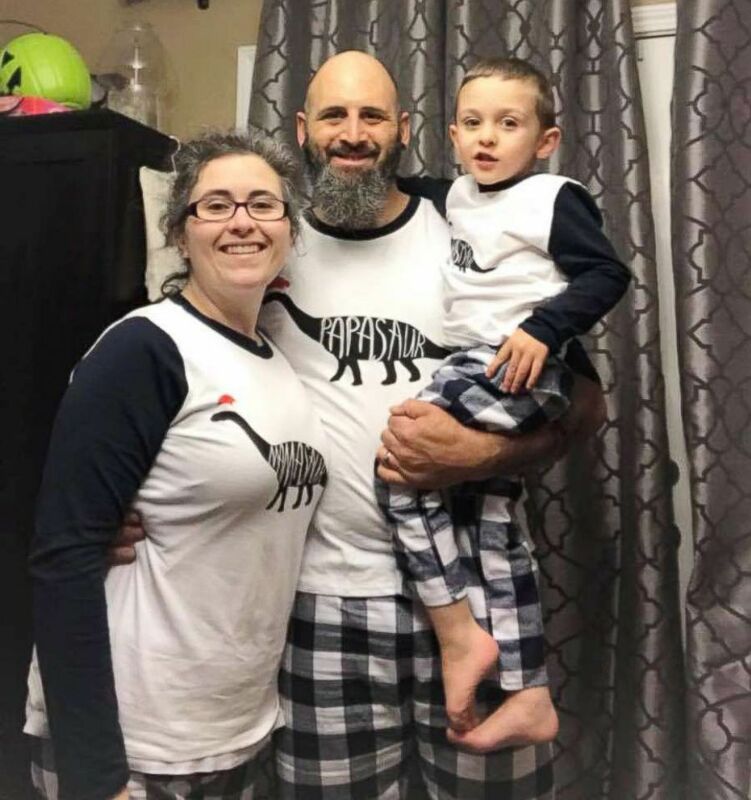 PHOTO:Barbara Nielsen of Muldrow, Okla., had returned from a business in Michigan when her son Damien and husband Brandon met her at the airport. 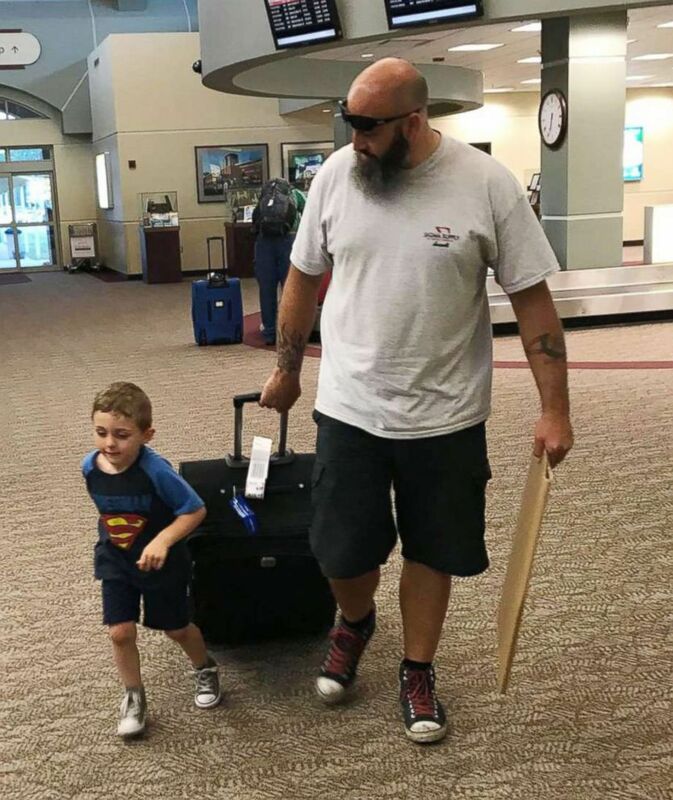 "So a friend was gone for a week on BUSINESS and her husband made this sign for their son to hold to welcome mom back!" Williams wrote. "I died laughing." Nielsen said her family also thought the photo of Daimen was adorable.